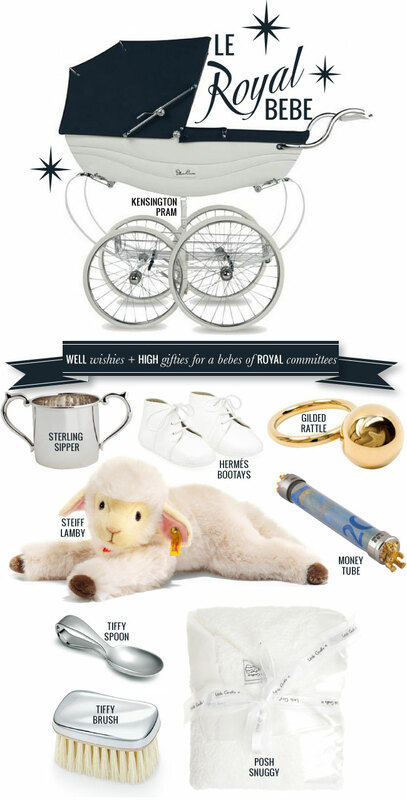 Planning on sending a gift for the Royal babe? Need some direction on what's considered "royal taste"? I've pulled a few classics from the vault - goodies that are certain to bring any mothering duchess to a screeching halt. Let it be known, a mothering royal boasts a rather discerning palate - and paralelling such high inclination requires a particularly keen gifting talent. Take note of the above assemblage - look beyond its pricey message - and gift with the intention of making a posh investment!